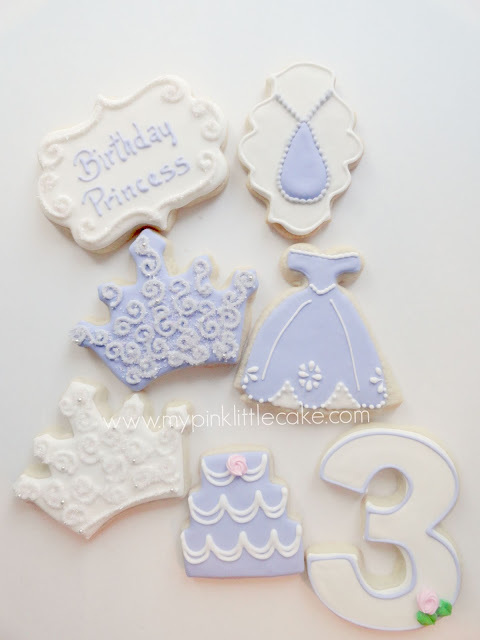 What a great theme! 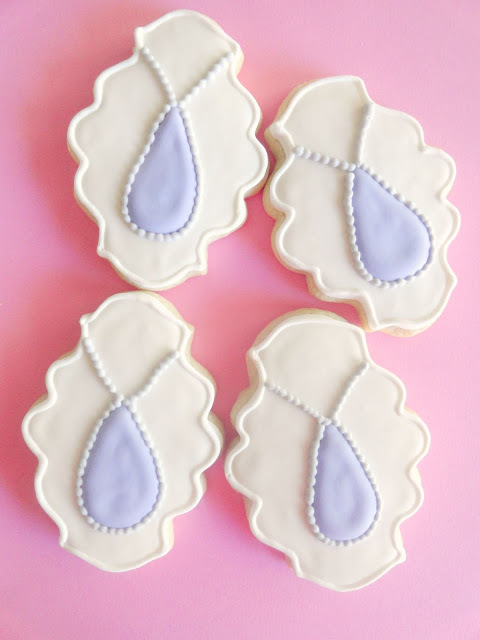 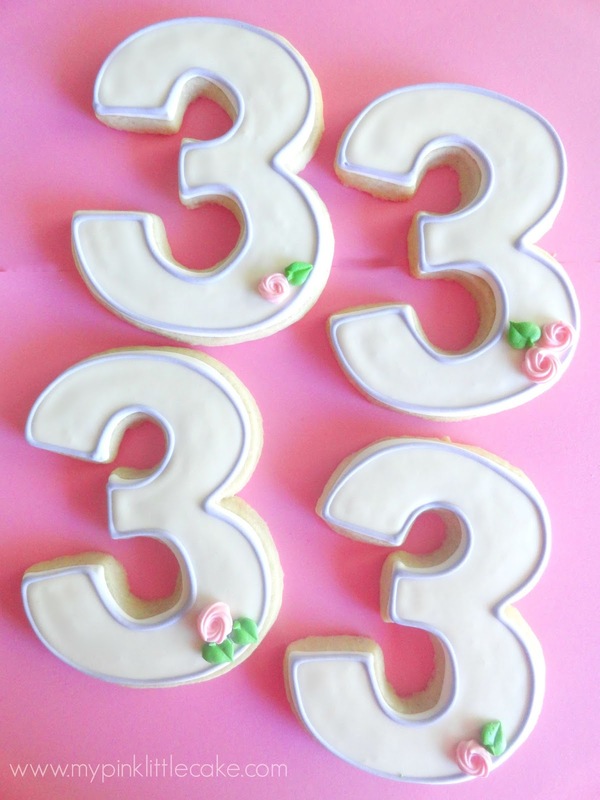 I love the soft pastel colors and the little rose detail my client wanted me to add to the cookies. 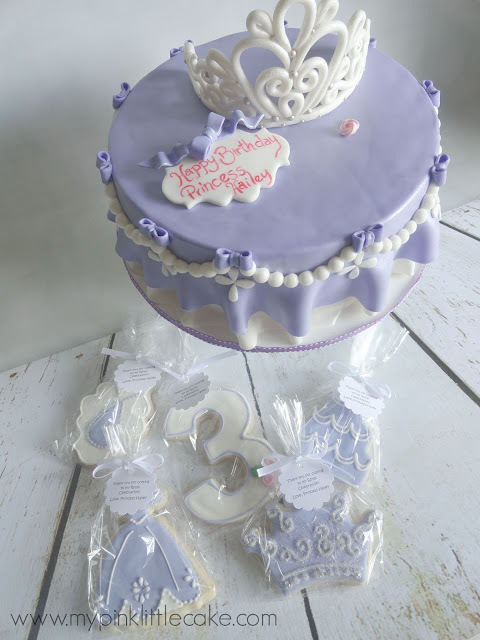 This Sophia The First cake includes a handmade white sugar tiara and little lavender bows. 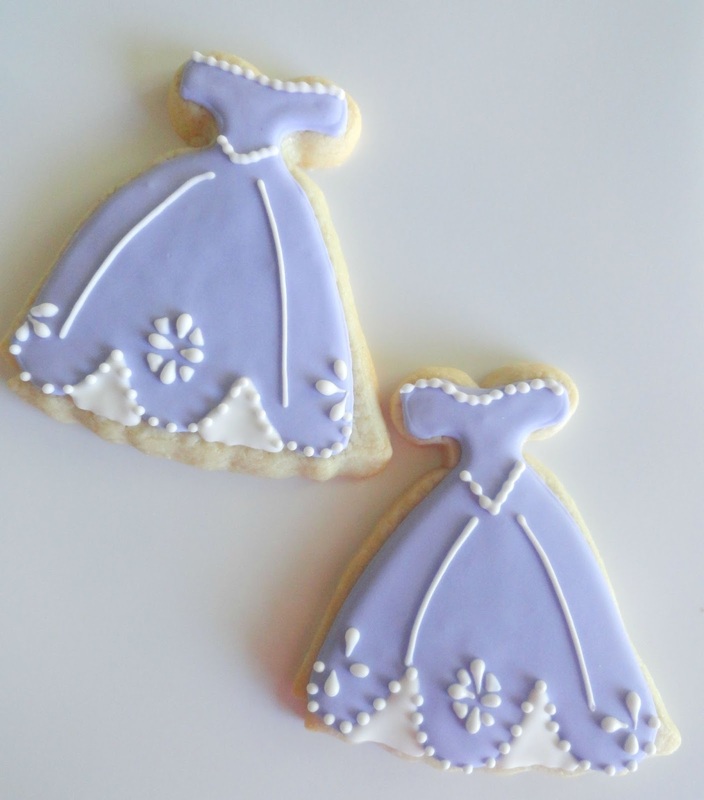 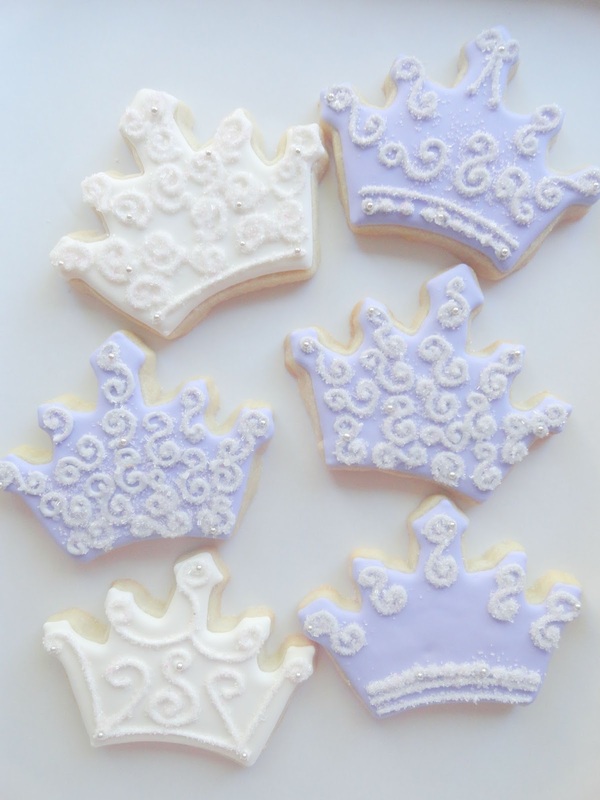 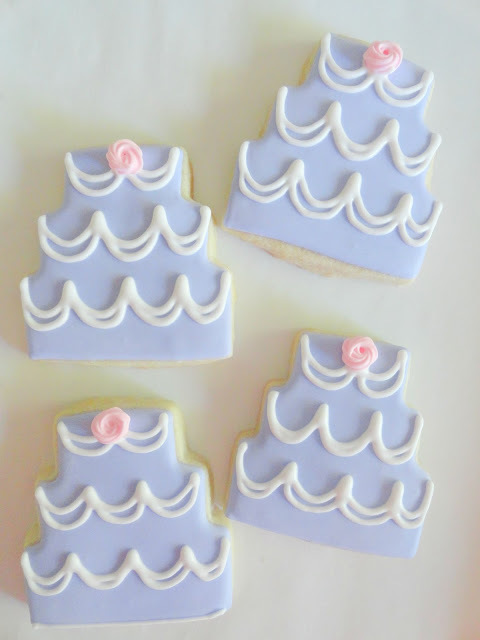 The cake and cookie favors were inspired by Sophia The First dress.